I primarily work in the domains of communications and facilitation and I am happiest engaging projects that exist at their intersection. In my definition, facilitation is the work of making it easier for a person or group to move towards a desired goal. My life/productivity coaching is faciltiation at the scale of the individual. Some of my social media work related to public engagement (ex: running communications for GoBoston2030) is facilitation at the largest scale. I am happy anywhere in between and I strongly prefer in-person, multicultural, and justice-oriented gatherings. I have been trained by the Interaction Institute for Social Change in Facilitative Leadership and the Fundamentals of Facilitation for Racial Justice Work, by Interaction Associates as a Masterful Trainer and as a Manager, by adrienne maree brown in emergent strategy facilitation. Some of my 2018 clients include Grist.org and the Multicultural Teaching Institute. 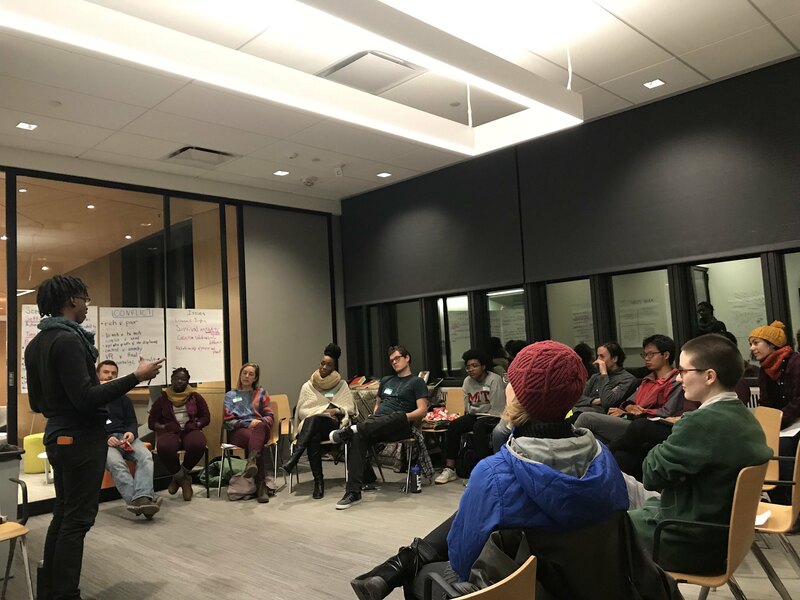 Upcoming work in 2019 includes a workshop for a Boston College freshman energy seminar on having difficult conversations and facilitating at the Center for Story-Based Strategy’s Advanced Practitioner Training. For more info, please see my bio or my online CV. If you prefer a customized résumé, please ask.